Jas got emotional when she spoke about the body shaming she recently received. 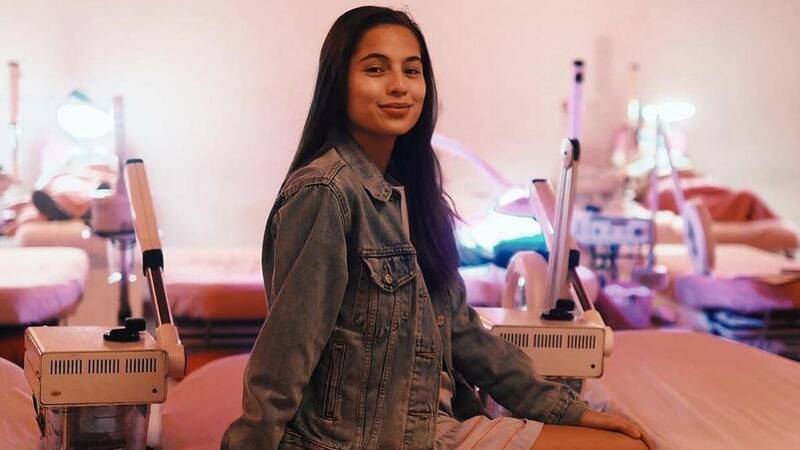 Actress Jasmine Curtis-Smith spoke about how she was affected by the body shaming she received after her noticeable weight loss in the recent months. In a report by PEP.ph, she tearfully admitted the emotional toll of dealing with people who criticized her for being too thin, with some even going as far as calling her anorexic. Jasmine recalled the incident, "It affected me, it gave me anxiety, it made me so depressed that people called me out like that. It is so hurtful that people don't understand na kaming mga nasa industriya, tinatanggap naman namin lahat. Huwag n'yo lang kaming pangaralan, as if hindi naman kami pinaparangalan ng mga manager namin, ng family namin." She also appealed for respect from the public: "Kaunting respeto naman kasi sine-share ko naman ang buhay ko sa inyo, not because it's my obligation, not because I owe it to you guys, but because I want to, but because happy ako, 'di ba?" Jasmine added to not judge people based on their weight or physical attributes: "And ako kasi, pagdating sa timbang ng tao, huwag mong i-discriminate. Wala 'yan sa timbang, wala 'yan sa hitsura, nasa kalusugan 'yan ng tao. Ako naman, lagi akong nagtatanong, 'Okay ba ang katawan ko?' Kaming nasa spotlight as celebrities, napakalaki ng pressure na naibibigay sa amin na maging ganito ang korte ng katawan. 'Ang pangit, wala siyang shape! Ay, diretso ang katawan! Ay, may taba dito.' Gosh, ano pa ba, heto na nga payat na nga ako, saan pa ba ako lulugar?" She explained that 2017 was a year of milestones for her and her family—this, she says, could've been the reason behind her weight loss. "Hindi kasi ako mabiyaheng tao, hilig kong mag-travel, pero hindi ako mabiyahe. This year, ang dami kong biniyahe. Pabalik-balik sa Australia, sa LA, so nabigla ang katawan ko, I guess. Wala akong diet, I eat rice, I eat potatoes, pasta. Nangarag lang this year in a personal environment." "Happy na ako sa weight ko," she concluded. "Ano lang, educating people."